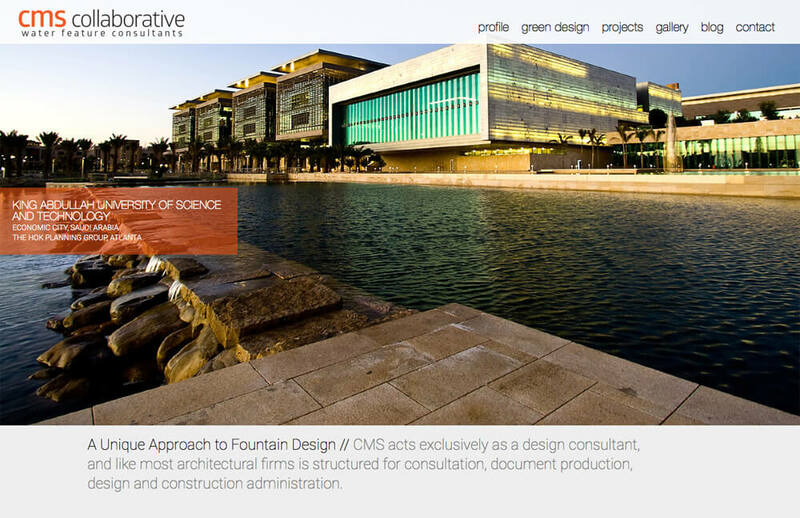 CMS Collaborative is a cutting-edge fountain design consultancy with projects that span the globe. 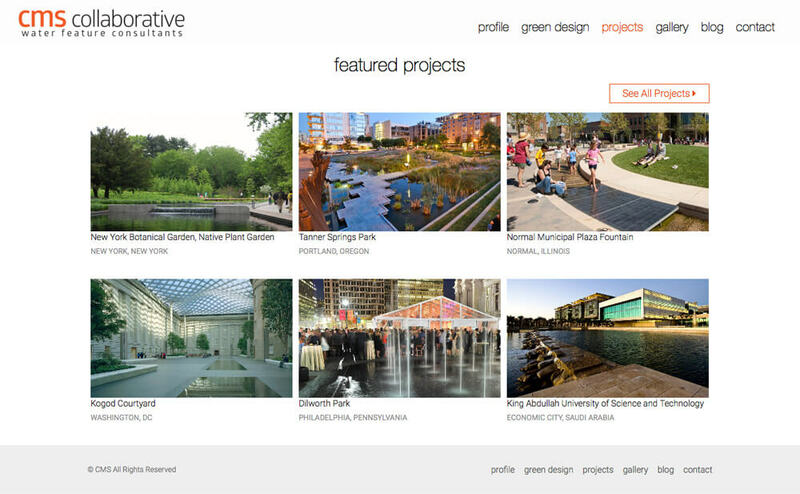 We engaged CMS years ago for a design/development effort that lasted nearly six years. When they wanted to update their site in 2014, they continued their relationship with us, and we set about bringing a contemporary aesthetic to their brand. 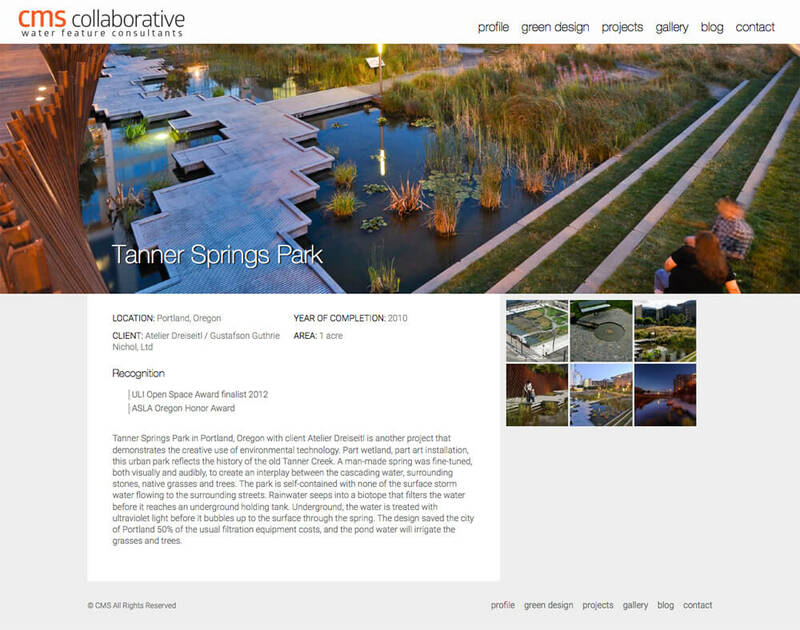 We did a complete site overhaul with a new design, the power of WordPress, and a new blog. As you can see, this company stays busy with a project list that would make anyone envious. Moving all of that content into a new layout was a challenge that we were willing to take on. The result of our efforts was an ultra clean site that features the extraordinary fountain design this company is known for.